The lives of a middle class Indian family living in Kampala are thrown into turmoil when the housewife finds herself embroiled in a murder plot. Shika Samuel (played by Indian National Award winner Rima Kallingal) pursues her hobby of fashion design and opens a boutique at the Garden City Mall. She suddenly falls prey to a conspiracy and is faced with the double murder charge of her close friend Angel Mathews (Indian Star, Tashu) and the Mayor's daughter, Audrey (played by Miss Uganda 2013 1st Runner up Anita Kyarimpa). Husband, Jay Krishnan (Vijaay Babu) attempts to secure her release from Luzira Maximum Security Prison where she's being tortured that is orchestrated by a well-wisher (Award Winning Tamil star Partiban) from the Indian community. 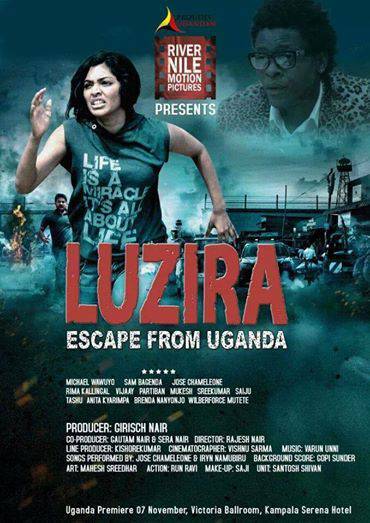 The film essentially revolves around her attempt to escape from prison and from Uganda. COMING SOON To Cinemas This November 8th, 2014. RNMP is promoted by an established business group that has had a presence in Africa & the Middle East for over 22 years, with successful leadership in the Information Technology, Realty and Education sectors. Movie will be showing at Century Cinemax @Acacia Kisementi, The Hub @ Oasis Mall, Cinemagic @ Metroplex Plaza, Naalya and Cinemax @ Ham Plaza Makerere.